HTC has confirmed that Sense 3.0, the updated version of the Sense UI found on all HTC Android phones, won't be available on older HTC devices. It comes as no surprise, as the company didn't seem overly positive about the port being possible when we spoke to them at the HTC Sensation launch earlier this week. It hurts that the senseless confirmation was imparted by way of a tweet from the official HTC account, though. In answer to a customer's query, the tweet reads, "Due to Sense's hardware requirements, only our newest devices (Flyer, Evo 3D, Sensation) will be able to support it." 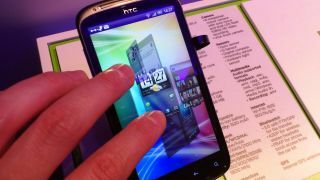 So if you've just picked up an HTC Desire S or HTC Incredible S, we're sorry to tell you that it's already out of date. Still, there's a chance that these handsets will get some elements of Sense 3.0, although whether these will include the 3D overlay for home screens, the new lock display or the new visual widgets remains to be seen.